A delicious dessert, inspired by Eton Mess. Very quick and simple to make, this is ready in about 10 minutes. Perfect for impromptu entertainment! Place the Maltesers in a plastic food bag, close the bag, then using a rolling pin, hammer away at the Maltesers to crush them. Don’t crush them too finely as the beauty of this recipe is the crunch that hits you with every decadent mouthful. It’s particularly delicious if the pieces of Maltesers are uneven in size! 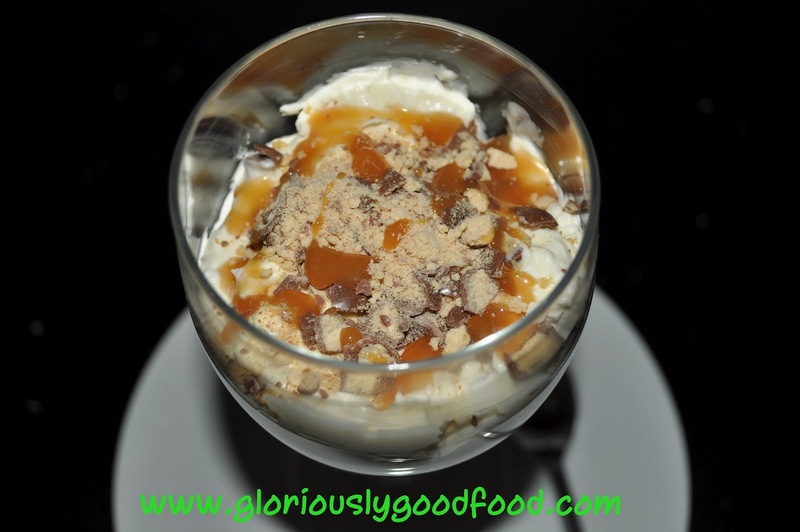 Finish off by sprinkling the remaining crushed maltesers over the top of each cup/glass of dessert, with a final squirt of toffee sauce on top. To retain maximum crunch, don’t wait too long before serving, but if you don’t serve immediately, make sure you refrigerate the cups so the cream stays firm. 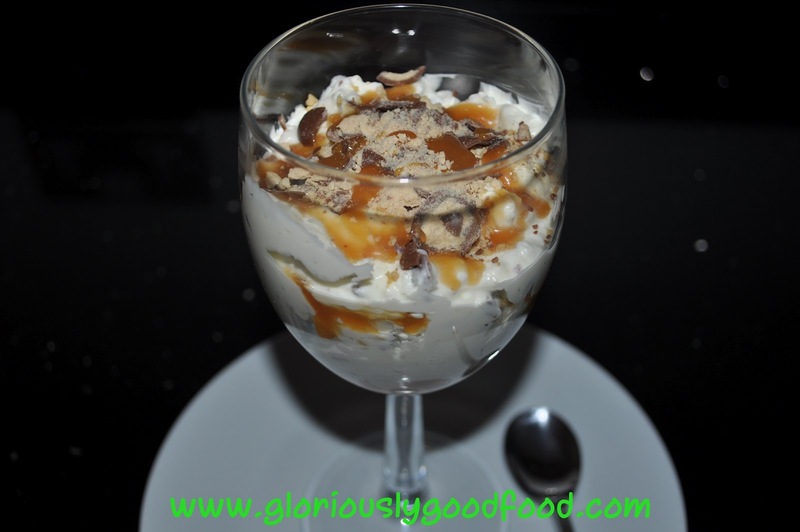 This entry was posted in Dairy & Eggs, Sweets / Desserts and tagged condensed milk, cream, dessert, indulgent dessert, maltesers, quick desserts, toffee. Bookmark the permalink.